HÀ NỘI — Lý Hoàng Nam jumped 36 spots to world No 591 in the latest Association of Tennis Professionals (ATP) men’s singles rankings, announced yesterday. It is the best ranking in his career and a new high for tennis in the country. In the men’s doubles rankings, Nam also leapt forward, from world No 587 to 545. The improvement comes after Nam’s success during two weeks of competition in Japan. The southern province of Tây Ninh-born Nam entered the quarter-final of the Japan F2 Future tennis tournament and the semi-final of the Japan F3 tournament. 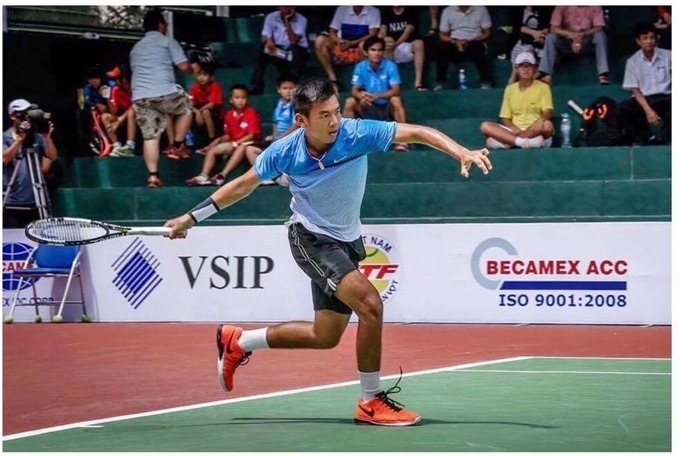 Nam, who won the boy’s doubles title at the 2015 Wimbledon Championship along with Indian partner Sumit Nagal, aims to finish in the top 400 this year. In other news, Nam won’t compete for Việt Nam in the Davis Cup 2017, Asia/Oceania Zone Group 2 because of injury. Việt Nam will face Iran on April 7-9.